The global innovation leader in sports timing technology has obtained the US and EU patent for its foldable ground antenna (patent number EP 3 298 668 B1). 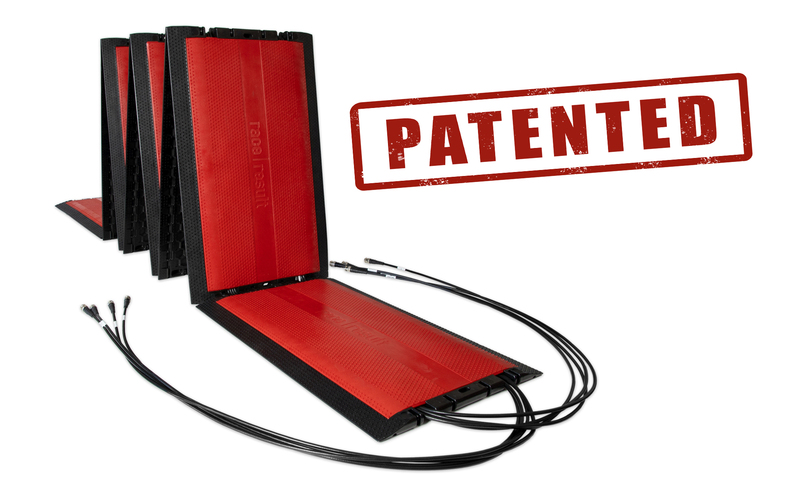 The iconic red foldable mat was invented and developed in 2015, since then it has become inherent part of hundreds of start and finish lines in sports competitions all over the world. Fast assembly and disassembly, robustness and highest precision characterize the race|result ground antenna. "The foldable ground antenna has become something of our hallmark. We invest a lot of time and money in the development of new, innovative products - to the highest quality standards. With the folding mechanism we have hit a home run with our customers. We are very proud that this development is now also recognized and protected by the patent", says a delighted Nikias Klohr, head of development at race|result and co-inventor of the foldable ground antenna. Compared to other timing mats, the setup of the race|result ground antenna is very easy and can be done in a few seconds. Timers don’t need to open and connect mat elements to lay cables through them. This saves personnel and storage costs. Even race organizers benefit from the quick installation of split points. Road closures for the races can be significantly shorter if the technical infrastructure is set up and dismantled faster. The running season in the Ukraine started with one of the major events: More than 13,000 runners attended Nova Poshta Kiev Half Marathon, including the Mayor of Kiyev, forner heavyweight world champion Vladimir Klitschko. The runners started in three waves at 21km, 4x5km and 10km. The winner in the 21 km race was BERNARD CHERUIYOT from Kenya (1:03:42). Women’s winner DAISY JEPTOO, also from Kenya, set a new tack record (1:10:52). The race was timed by Sport Timing Slovakia with the race|result Passive System. Some of the world’s best triathletes met in the UAE’s capital to compete for the first time in 2019. Reigning world champion Mario Mola from Spain took the win in the Elite Men's race, while U.S. athlete Katie Zaferes, with a stunning running performance, finished first in a thrilling women’s race, and Australia took gold in the first stop of the brand new Mixed Relay World Series. 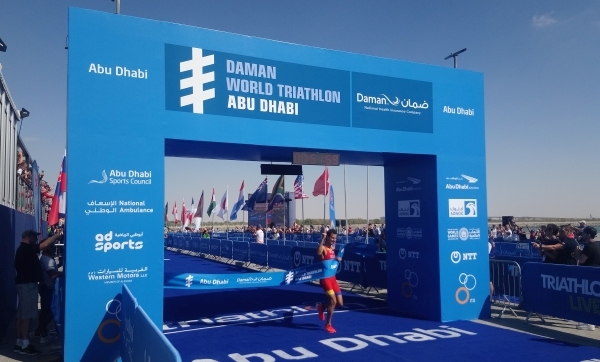 In addition to the elite races, over 2,300 triathletes from all around the world took part in age-group races and the first competition of the Special Olympics World Games, which took place in Abu Dhabi as well making it the biggest triathlon event in the middle east. All races were timed by Gulf Multi Sport (Age Group) and Multisport Australia (Elite) using race|result Active Systems and ActivePro V2 Transponders. 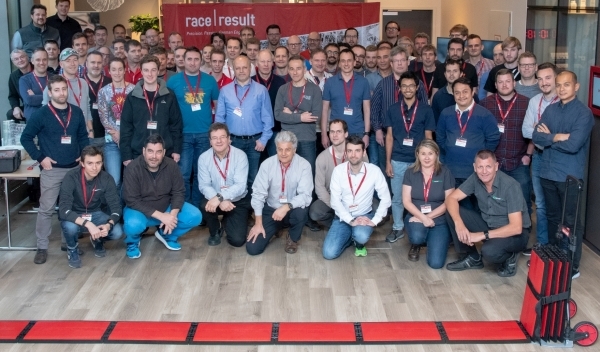 „In 10 years of company history, this was definitely one of my highlights!” The résumé from race|result CEO Soenke Petersen after two exciting days in Frankfurt was unequivocal. Timers from all around the world had joined the Conference to get an exclusive insight into the company. 53 timing companies from 23 countries were represented. What are the big challenges and goals in developing timing hardware? What does it take to build a scalable software and calculate millions of results on webservers every month? Soenke Petersen and CTO Nikias Klohr spoke about those challenges. The race|result support team gave vivid examples of how the complete solution is used in high-class sports events. In addition, John Hovius from Sportstats explained how he times the whole Rock’n’Roll Marathon Series in North America with a staff of only four people. And Daniel Gallaher from RaceTracker (Norway) talked about timing the ultimate Triathlon on the planet, Norseman Xtreme Triathlon. During the inaugural “race|result Timers Olympics” the participants could prove their software skills. Precision, Passion and German Engineering. The Conference pictured the race|result company slogan. It brought together timers from all over the world who maybe never would have met – for networking, sharing experiences and getting a motivating kick-off into the new timing season. Thanks everybody for joining, it was an honor to meet you! Watch the picture gallery on our Facebook page. Two German market leaders start cooperating: The leading manufacturer of timing systems and the renowned provider of timing and event services will work together in the future. Starting in 2019, mika:timing will use race|result timing systems at numerous events. mika:timing consistently pursues its successful strategy of always offering organizers and participants the best possible technology and the latest services. "From more than 400 events every year, we know the individual challenges of each event. As one of the leading independent service providers, we want and can use the best timing technology for each event. We see a number of benefits in the race|result systems in the field of active and UHF transponder technology, from which our customers and the participants of the sporting events can benefit." More freedom, less waste and lower prices: Chip2Go allows timekeepers to program their own race|result Passive Transponders. We have developed the first true application-specific chip machine for sports timing purposes. Chip2Go is the perfect solution for short-term bib production, on-site registration and smaller events. Instead of throwing away spare Chip Race Numbers after an event, you can produce just the amount of Chip Race Numbers you really need on race day. Pre-order your Chip2Go this year and take advantage of a discount! Chip2Go is now available in our Shop. 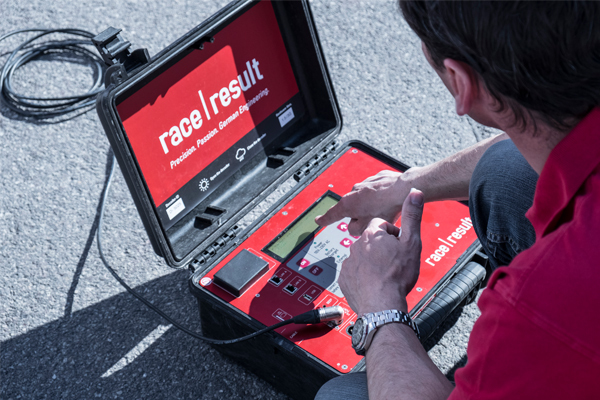 Developing the world’s most innovative timing systems, race|result engineers always need to stay ahead of the developments in the industry. Being part of a network helps to get in touch with technology partners, suppliers and masterminds from all over the world. 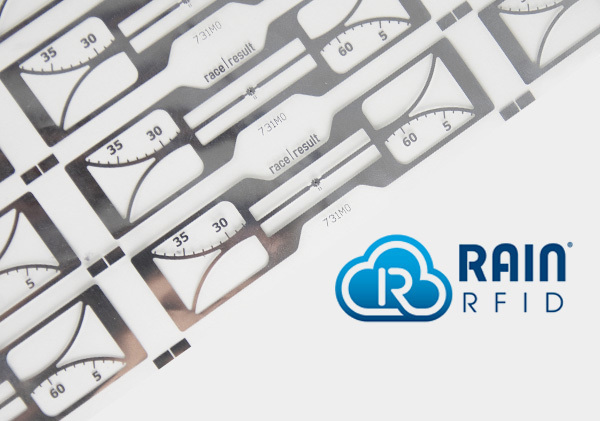 RAIN is the global alliance for the wireless UHF RFID technology which is used in the race|result passive system and decoders. Tags, readers and software applications must be matched up during product development. Nikias Klohr, Head of R&D at race|result, spoke at the “RAIN RFID Alliance – Europe Meeting” in Vienna in June. He explained how the company developed an application specific solution for RAIN RFID in sports timing. Outside of sports timekeeping RAIN RFID technology is used to connect billions of everyday items to the internet, enabling businesses and consumers to identify, locate, authenticate, and engage each item. He spoke again at the “RFID tomorrow” conference in Frankfurt a few weeks ago. One year before at the same event, the idea was born to create the first sport specific UHF RFID Transponder. Now Klohr could report on its development and the series production which started in September. With the GENERALI Munich Marathon, race|result has taken over the second of the top 5 marathons in Germany. One week after the race in Cologne, Abavent used the race|result systems in the Bavarian capital for the first time. More than 20,000 runners had registered for the various contests. It was the first big race in Germany using the new Passive Transponder. Attached to the back of the individual race number immediately after printing, this solution eliminates the error-prone handling of shoe transponders. For the organizers in Cologne and Munich, it meant considerably less organizational effort in the run-up to the race. It is also the most worry-free and cost-effective option for participants. It is one of the biggest marathons in Germany. Famous for the spectacular finish in the shadow of the cathedral and for the cheerful atmosphere along the track. 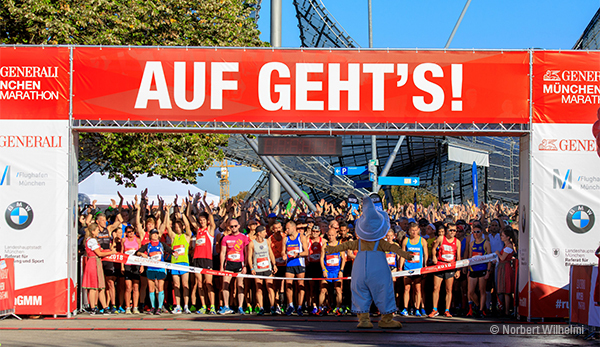 More than 27,000 athletes took part in the RheinEnergie Cologne Marathon this year. For the first time the organizers decided to choose the complete solution of race|result products and services to ensure a smooth timekeeping process. In cooperation with raceresult Timing BW GmbH, 18 passive systems were used at 16 timing points, each consisting of decoder and ground antenna. The recorded times were transmitted live to the race|result servers and displayed in the event app of the Cologne Marathon. Spectators were able to follow the intermediate times of each runner live. For the first time, the participants of the Cologne marathon did not have to wear a separate transponder on their shoe. The timing chip was simply attached to the back of the pre-printed, personalized race number. Online registration and scoring were processed through the race|result 11 software and integrated into the organizers' website. Once again, the timekeepers’ impression was confirmed: the complete race|result solution is always up to the challenge, even with tens of thousands of participants! It's time for another game-changing evolution! Our new Passive Transponder is the only disposable RFID passive transponder on the market specifically designed for sports timekeeping. Wetness, sweat and body contact have no negative impact on transmission power or durability. 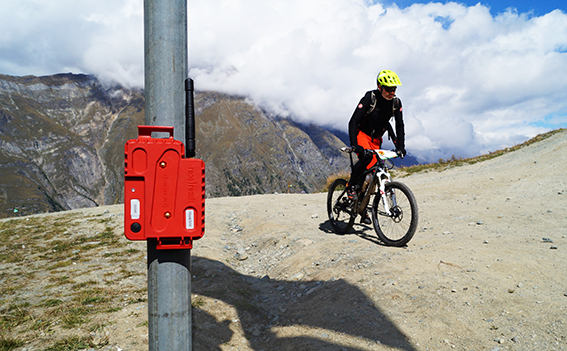 Our transponder is optimised for use in sports environments. 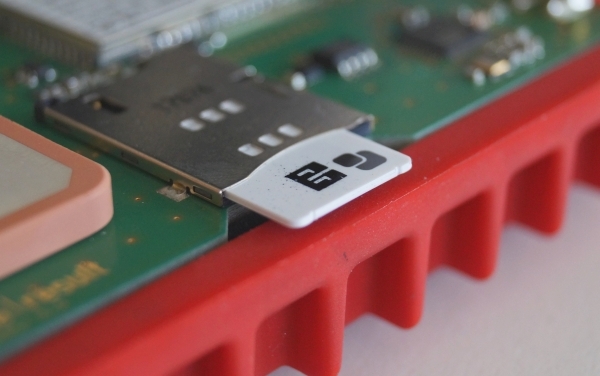 The foam spacer on the chip is now only half as thick, 1.5 mm. This will save you a lot of shipping costs when ordering Chip Race Numbers. Our measurements show: no other transponder on the market offers the same reliability and precision with a 1.5 mm foam spacer. Find out more in our video and visit the Knowledge Base for technical details. The race|result SIM Cards are specifically matched to our hardware to ensure the live transmission of timing data at all times. Our systems and Track Boxes configure the SIM Card by themselves and search for the strongest mobile network available. The SIM Cards can be used in (almost) whole Europe, without additional settings! Find them in the race|result shop for rental. If you rent our Track Boxes, the SIMs are included of course. 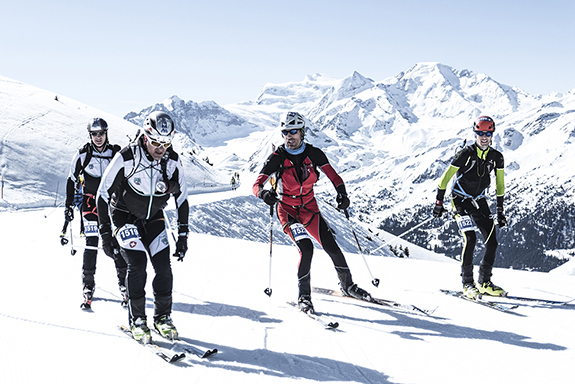 With its 56 km course, 4,000 m climb and 16 timing points, most of them only accessible by helicopter, Patrouille des Glaciers is a massive challenge for the participants... and for timers! race result Swiss was the official time keeper for the event for the second time in a row, supported by staff members from the German HQ, and from our French, American and Australian offices who came down after our Distributors Meeting. This year's event was timed using 5,000 ActivePro transponders, 16 active systems and 40 Track Boxes, of course scored with race result 11. The 8 months long registration process also ran through my.raceresult.com, and the race packs were all printed and packed from the headquarters. We are very proud to have been part of that adventure again, and thank the Swiss Army for their trust in our solution. 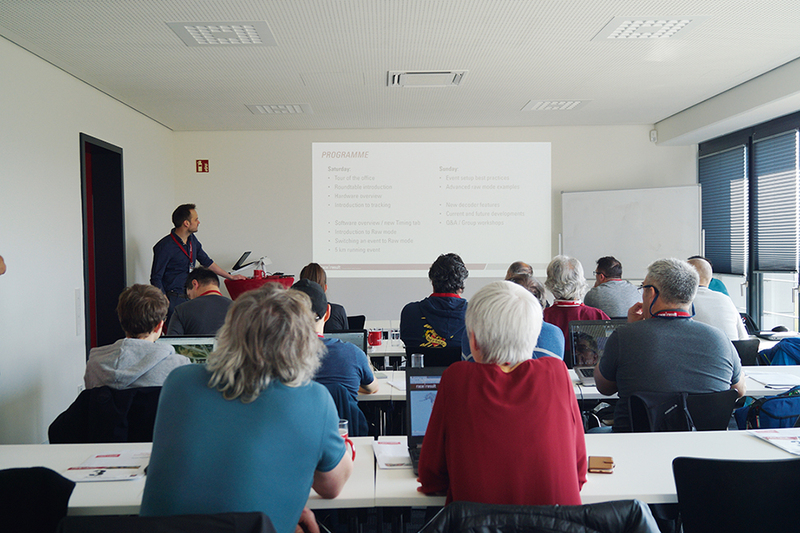 The English session at our Headquarters last weekend closed off the Training Sessions programme in Europe and in the USA. The Australian session will take place later in the year, at the end of the season in the Southern hemisphere. Almost 200 timers attended one of our 8 sessions in 7 different countries so far. We thank everyone who attended and hope the contents of the session will help everyone make the most of our solution this season. race|result active transponders combined with our new track boxes make it possible to track all participants of an event - live, and without participants requiring anything more than the timing chip they are already wearing. This brings you a totally new event experience, live and interactive, especially for fans, relatives or the media. Sportstats, the timing company for the Rock ‘n’ Roll Marathon series, is proud to announce its commitment to using race|result bib numbers and timing technology at all US Rock ‘n’ Roll events over the next three years. This past weekend, over 21,000 registered runners competed in Tempe Arizona. To see a short clip about how the race|result timing transponders were programmed and made their way onto the custom bib numbers, click here. Arizona was the first event in the 2018 Rock ‘n’ Roll Marathon series. The event included distances for everyone: marathon, half marathon, 10k, 5k as well as a 1 mile and a KiDS ROCK event. The Sportstats timing team used 23 race|result systems on course and streamed live results data through rtrt.me. race|result’s success in America continues! 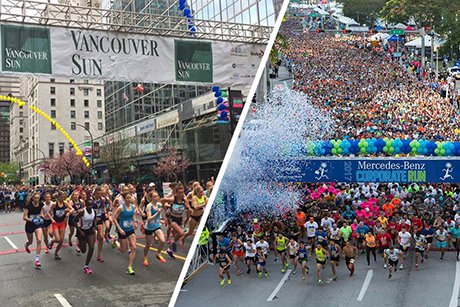 During the Mercedes Benz Corporate Run (Epic Sports Marketing) in Florida and the Vancouver Sun Run (Sportstats West) in Canada, our race|result systems were used for timing of over 60,000 participants with a detection rate of 99.9%. race|result provides both the most reliable and flexible race timing software and hardware for any type of endurance sports, and also the infrastructure to time the biggest events in the world. We are the loyal partner at your side, and will help you gain that competitive advantage and grow. chip timing system (for rent), scoring software, bib numbers, online registration, and much more. Hundreds of events are timed successfully this way every year. You can do it as well! Copyright © 1999 - 2019 race result AG. Alle rechten voorbehouden.